QICF is an interdenominational community of expat believers who gather to glorify the Lord through worshiping in Spirit and in Truth. We gather to refresh, renew, and build up the body of Christ in order to equip the saints for the work of ministry. We work to reach the lost in our community. 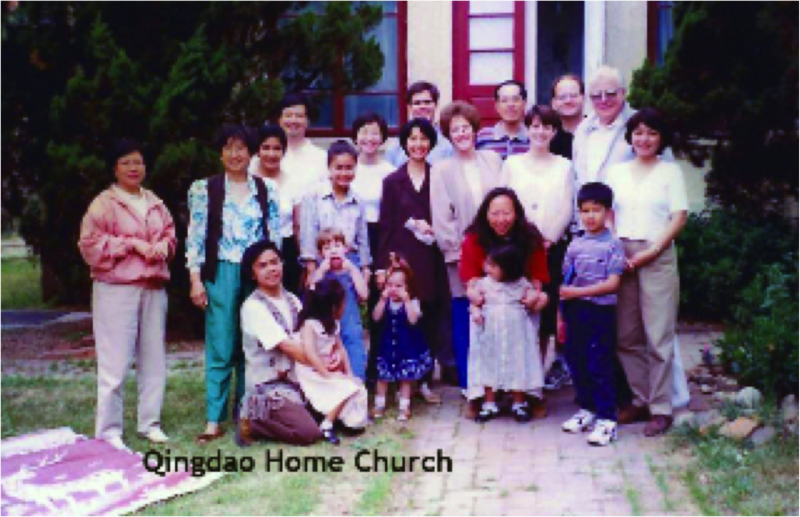 The Qingdao International Christian Fellowship began in the early 1980s when English teachers at a medical college began to meet on Sundays. Many students also came, including a large group from Ocean University. Services consisted of sharing and prayer for each other, singing, time in the Word, and then eating together. The group became more eclectic in the 1990s as people from Singapore, America, Canada, Philippines, and Hong Kong attended. It was also a mix of teachers and business executives. The Fellowship alternated between four different families’ homes. They crowded in people’s living rooms. Some sat on the floor. Average attendance in 1994 was 20. A committee was formed to help lead the fellowship as it grew in the 1990s and 2000s. Since it couldn’t fit in a house any longer, it met it in a succession of hotels. In 2015, after meeting in the auditorium of the Intercontinental Hotel for five years, QICF moved to its current location at Crowne Plaza Hotel. A more detailed history is available through the Discovering QICF class for prospective members. God: We believe there is one God, existing eternally in three persons, Father, Son, and Holy Spirit, and possessing the same attributes and perfections (Genesis 1:1; Deuteronomy 6:4; Matthew 28:19; John 10:30; 2 Corinthians 13:14). Jesus Christ: We believe that Jesus Christ is God (John 10:33). We believe in: his virgin birth (Isaiah 7:17; Matthew 1:23; Luke 1:34-35); his sinless life (Hebrews 4:15; 7:26); his miracles (John 2:11); his vicarious and atoning death (I Corinthians 15:3; Ephesians 1:7; Hebrews 2:9); his resurrection (John 11:25; 1 Corinthians 15:4); his ascension to the right hand of the Father (Mark 16:19); his personal return to earth in power and glory (Acts 1:11; Revelation 19:11-16). The Holy Spirit: We believe that the Holy Spirit, the third person of the Trinity, dwells in every true believer (1 Corinthians 3:16; 2 Corinthians 6:16-17). We believe that the Holy Spirit regenerates and seals every believer, spiritually uniting them with one another (Ephesians 1:13; 1 Corinthians 12:13; Romans 8:9; Galatians 3:26-28). We believe the Holy Spirit enables the trusting, obedient believer to live a godly life (Romans 8:13-14; I Corinthians 3:16, 6:19-20; Ephesians 4:30, 5:18) and continues to endow believers with gifts for the purpose of building up the body for the common good, just as he wills (1 Corinthians 12:4-11). The Scriptures: We believe the Bible is the verbally inspired Word of God, without error and infallible in the original manuscripts. We believe the Bible is the final and sufficient authority in faith and life (2 Timothy 3:15-17; 2 Peter 1:20; Psalm 19:7-9). The Condition of Man: We believe that man was created in the image and likeness of God, in innocence, and without sin. In Adam’s sin humanity fell, inherited a sinful nature, and became spiritually dead and alienated from God. We believe that, within himself, man is incapable of redeeming himself from his lost and depraved condition (Genesis 1:26; 3:1-24; Romans 3:10-18; 5:12; Ephesians 2:1-3). The Work of Christ: We believe that God’s eternal Son, Jesus Christ, became fully man, without ceasing to be fully God, in order to reveal God and redeem sinful man. We believe Christ voluntarily offered himself as our sacrificial substitute on the cross, satisfying God’s righteous judgment against sin. We believe God’s only provision for our sin is Christ’s death on our behalf, and his resurrection, through which God reconciles us to himself (John 14:6; Acts 4:12; Romans 4:25; 2 Corinthians 5:21). We believe Jesus is the way, the truth, and the life, and no one comes to the Father except through him (John 14:6). Salvation: We believe that salvation from the penalty of sin is a gift of God’s grace and cannot be gained by any work. All who repent of their sin and trust Christ as the crucified and risen Lord and Savior are forgiven of their sins and born into God’s family by the regenerating work of the Holy Spirit (John 3:16-19, Romans 3:23, 5:1-9; 10:8-9; Ephesians 2:8-9; Titus 3:5). The Church: We believe that the church, called in Scripture the Body of Christ, represents God to the world and is the vehicle through which the love of Christ is communicated. It is a spiritual organism and family, and every true believer is a member of his Body. We also believe that Scripture affirms the establishment and continuation of local churches, groups of Christian believers called together for worship, instruction, fellowship, and service (Ephesians 1:22-23; 1 Corinthians 12:13; Acts 2:42; 13:1). Eternal State: We believe that at the moment of death, the souls of all who trust in Christ for salvation immediately enter Christ’s presence, awaiting the resurrection of life. We believe that at death the souls of all who do not trust Christ for salvation immediately enter into conscious separation from God, awaiting the resurrection of condemnation, the eternal consequence of unbelief (Luke 16:19-26; 2 Corinthians 5:8; Philippians 1:23; 2 Thessalonians 1:7-9; Revelation 20:11-15).